I know it’s still only September, but I’ve already got Thanksgiving on the brain. Somehow, once the weather starts cooling down, it feels like one big slip and slide ride to the holidays. And as a foodie, Thanksgiving is definitely a holiday to look forward to. While I enjoy a traditional Thanksgiving dinner as much as the next person, I also love the idea of trying new recipes (especially healthier versions of classics) for the feast. Last year, on A Love Letter to Food’s Facebook page, I did a ten-day countdown to a healthier Thanksgiving, featuring ten different recipes for better-for-you sides and desserts. 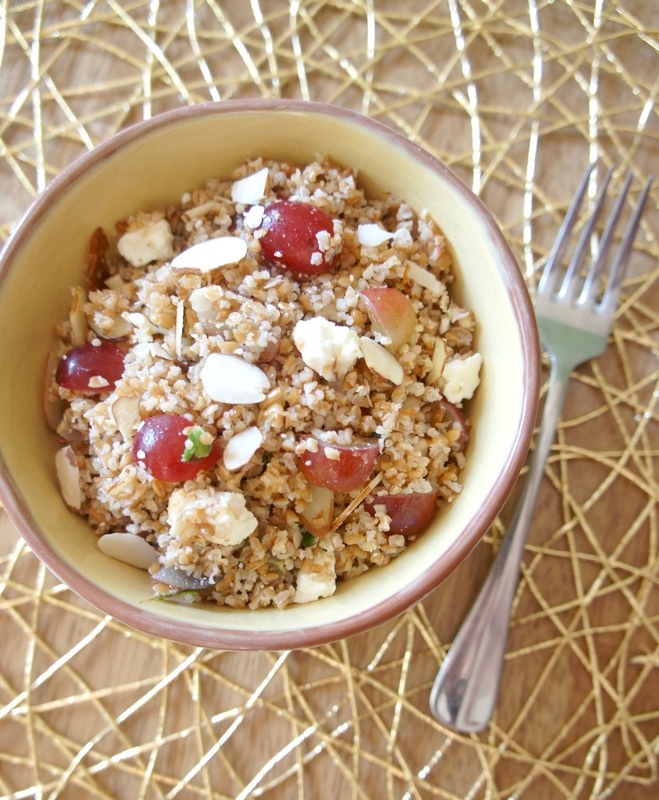 This year I already know what healthy side I want to take to Thanksgiving: this Bulgur Salad with Grapes and Feta. 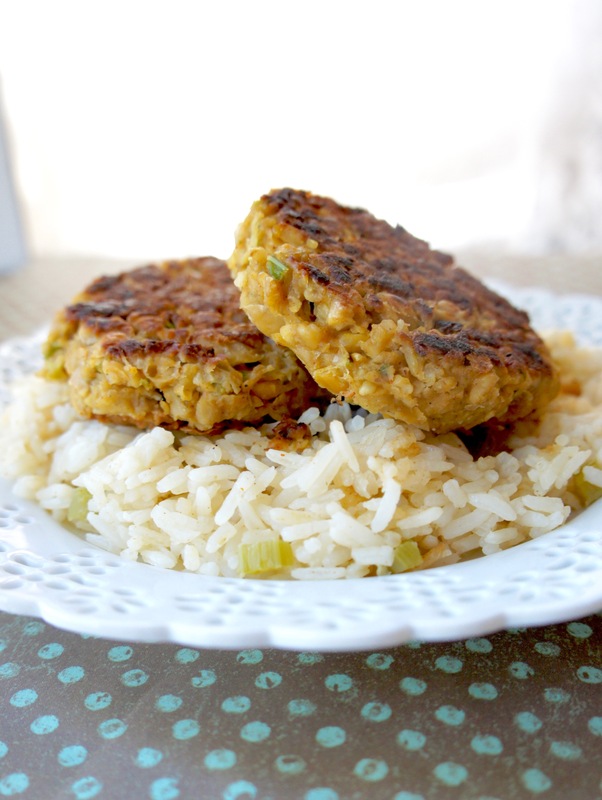 It may not bear much resemblance to mashed potatoes, green bean casserole, or dinner rolls, but stick with me. 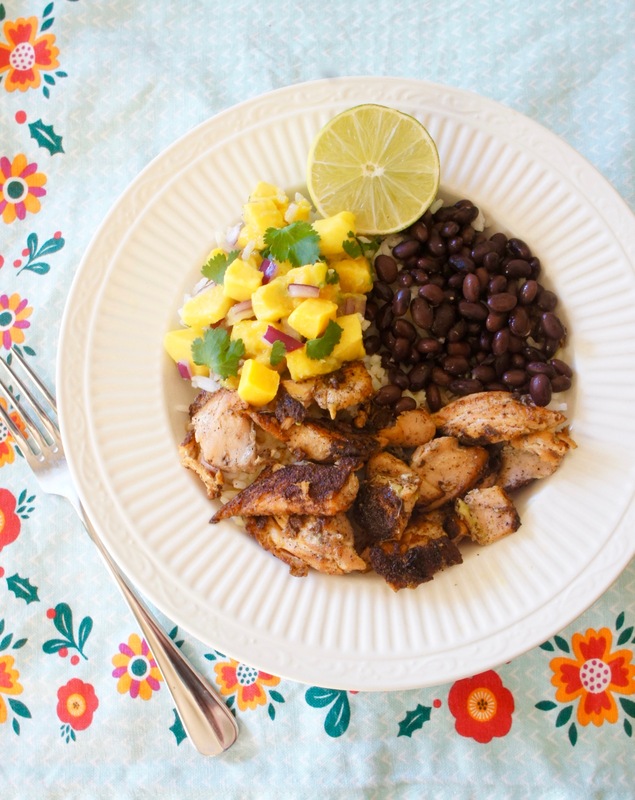 When we tried this recently as a side with grilled chicken, it was a match made in heaven. I can only assume the same for how it would pair with turkey. If you’re new to bulgur, join the club. Though a variety of different grains have become available in mainstream grocery stores these days, bulgur hasn’t caught on as much as the “cool kids” of quinoa, couscous, and wheat berries. If you had asked me a year ago to tell you anything about this particular grain, I would have drawn a blank (except for an internal snicker at how its name sounds kinda gross, like “Aunt Tillie can’t make it to Thanksgiving because her bulgur is acting up again”). The deeper I get into trying to follow a Mediterranean diet, though, the more new foods I’m exposed to. 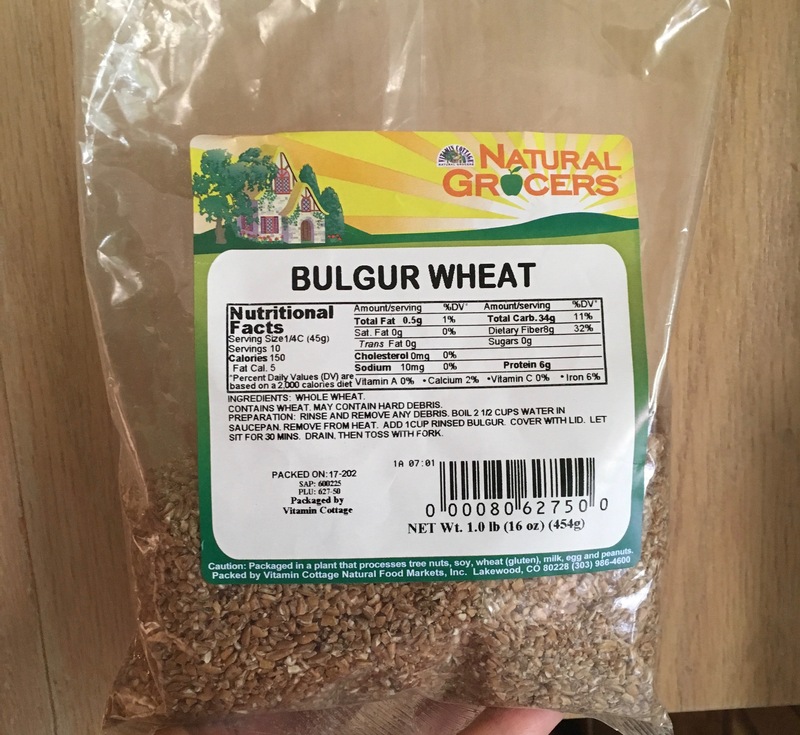 I now know that bulgur is essentially just hulled whole kernels of durum wheat. Translation: it’s a whole grain, and it’s good for you. It’s low in fat and sodium, extremely high in fiber. Plus, it has a pleasing chewy texture, soaks up marinades and dressings beautifully, and can be used in place of just about any other similar grain, like quinoa, couscous, or even rice. I’m a believer. This Bulgur Salad with Grapes and Feta is adapted from America’s Test Kitchen’s Complete Mediterranean Cookbook (which I’m LOVING RIGHT NOW and will soon be posting about!). It’s a no-cook recipe, as the bulgur kernels take a soak in lemon juice and water for 90 minutes to soften up to the point of chewy edibility. Once the soaking is complete, the now-chewy grains are tossed with grapes, feta, fresh mint, slivered almonds, and an olive oil-based dressing. As a side for Thanksgiving–or any other meal–give this refreshing and different salad a try! 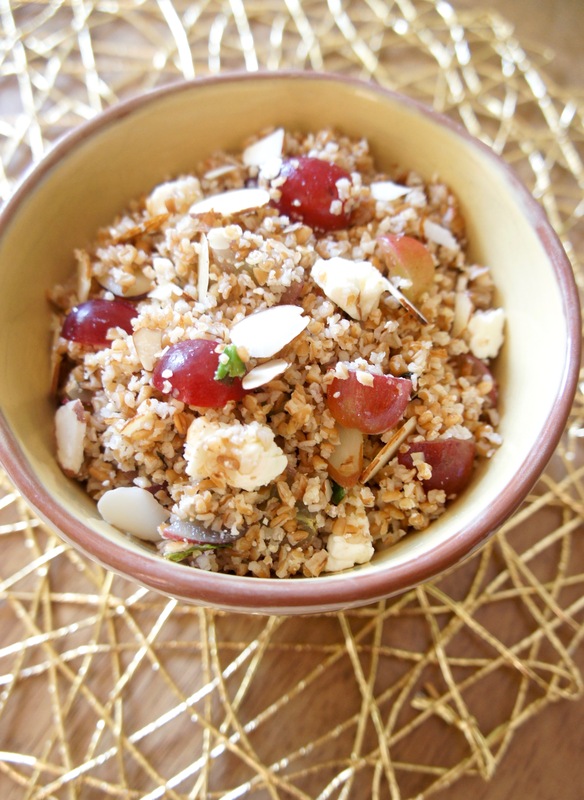 A refreshing, healthy salad featuring high-fiber bulgur, grapes, and feta cheese. In a large bowl (the bowl you intend to serve this salad in), soak bulgur in a mixture of 1 c. water, 1/4 c. lemon juice, and 1/4 tsp. salt. Cover and let sit for about 90 minutes, or until bulgur has softened and become chewy and no liquid remains. 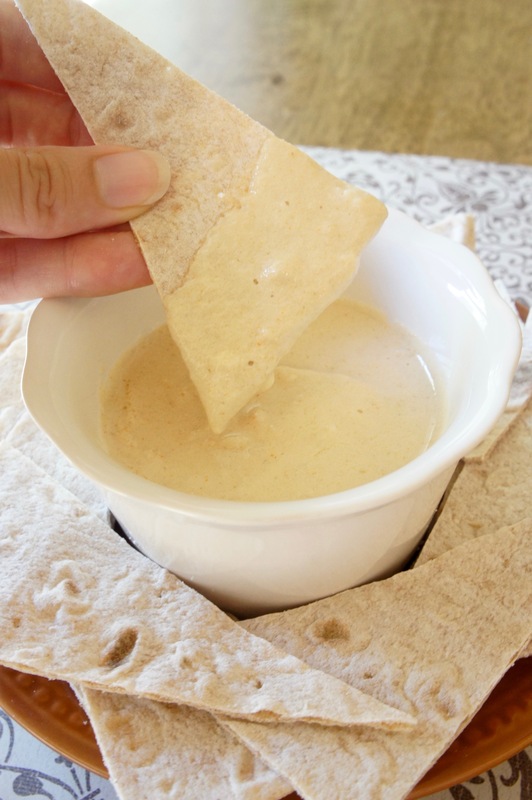 Meanwhile, make the dressing: in a measuring cup, combine 1 Tbsp. lemon juice, olive oil, cumin, cayenne powder, and 1/4 tsp. salt. When all liquid has been absorbed in the bulgur, pour dressing over the grains and toss to combine. Add feta, almonds, grapes, green onions, and mint and toss again. Season with salt and pepper to taste. Serve immediately or refrigerate. Adapted from The Complete Mediterranean Cookbook by America's Test Kitchen. I think if I were a chickpea, I wouldn’t be very happy. Poor chickpeas. They’re always getting mashed, pounded, and ground up for things like hummus and falafel, or playing second fiddle as a side dish to meat. It’s rare that you eat anything in which chickpeas in their whole, unadulterated form take center stage. Can’t we give these little guys their time to shine? 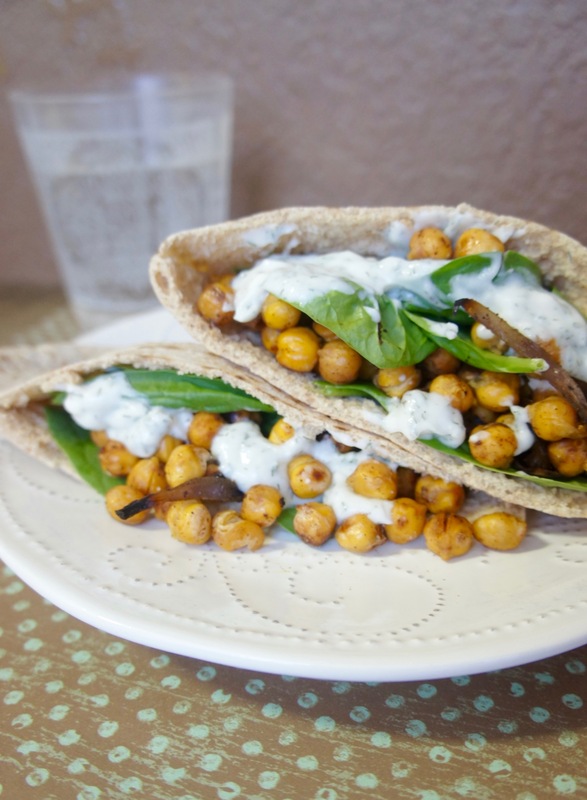 Why yes, we can, in the form of Roasted Chickpea Pitas! This tasty vegetarian Mediterranean meal features whole chickpeas roasted in a piquant blend of seasonings and paired with caramelized red onions. Finished off with some spinach, tomato, and creamy tzatziki sauce in a whole wheat pita, it’s a super healthy choice for dinner or a one-dish lunch. 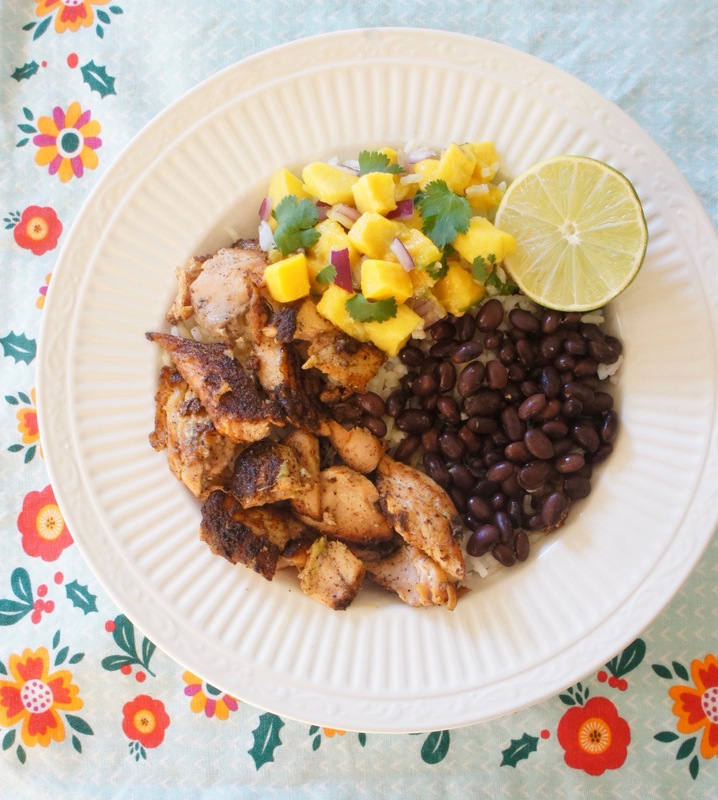 Every time I eat it, even without adding a side, it keeps me full for hours–probably because of all the “good carbs” found in the whole wheat and beans. Plus, chickpeas contain plenty of protein and even a little unsaturated fat. Can you really go wrong by adding more of them to your diet? So if I were a chickpea, I’d like to think I’d approve of this recipe (even though I’d have to be roasted in a 400 degree oven). Worth it.